I’m a fan of this winery as can be seen in my two tastings of their Pinot Noir. I came across this wine at the local store near my hotel and it was priced as a deal for two, I could not resist. Medium to dark purple. Nose of minerals, plum and sasparilla. On the initial attack I get really smooth plums, with some red chili pepper hints- intriguing, sans the heat! On the midpalate the plums continue but I start to appreciate some oak use and the intro to black fruits. I’m thinking of Ribena on the finish along with some vanilla. Very smooth all throughout with very melded tannins and a balanced acidity. This is my first Merlot/Cabernet from the famed Gimblett Gravels, I’m digging the minerality and think this wine is a 90 point effort. I think they normally retail at $18, which makes this a solid 4 star wine. Availability in the States may be limited, but keep a lookout for this winery on your travels. This wine would pair nicely with Beef short ribs or a hearty stew. I’m getting more! Salut…. One of my favorite Aussie Shiraz is the bigger brother to this wine, but I have not been able to find the McRae Wood anywhere. The Lodge Hill is their entry level Shiraz, the McRae Wood being the $50 effort while their top cuvee is the Armagh, priced around $250. This one looks decent in the glass, a good solid purple that is ever so see-through. The nose is plum, cedar shavings and Ribena. On the palate is where this wine shines. Not overly extracted or jammy, it offers more plums, dark cherry and herbs. The mid palate continues the theme and ramps up the tannins which are in full force by the time the finish rolls around. The tannic component is very smooth, yet gripping. They leave my upper gums thoroughly dry for a short period. This is a decent wine that is not jammy yet offers lots of flavor. I am serving it with some roast beef, it would pair beautifully with Shish Kebabs and Basmati rice. 89 points from me make this $18 offering a 3 star wine. Salut…..
Disclaimer- I’m tasting this wine in the confines of an aircraft cabin, where tastes and smells are often distorted by the rarified air. Nose of grape juice, cinnamon and a woody hint. On the palate I’m getting plum and blueberries with a rather surprising dose of tannins that are gripping the gums in a delightful manner. I say surprising because this style of wine from Beaujolais is made differently. Usually macerated, it doesn’t get much contact with the skins hence the normal ‘freshness’ of the region that gives up the long term cellaring capabilities of the wine by reducing tannic structure. In return, a generally lighter style of fruit forward wine is crafted for short to mid term cellaring. This particular wine will run for 5-8 years more and pair beautifully with roast chicken, pizza or some carpaccio and olive starters. 89 points. Really delicious and for about $18 per bottle it gets 3 stars from me. Salut…. From Sonoma comes this delicious Cabernet Sauvignon that got great reviews. I was excited to try it when I saw the bottle and was not disappointed. Dark purple in the glass with a nose of red berries, a touch of oak and some cinnamon. On the palate, red fruits, bright acidity and some cola. On the mid palate , a hint of sasparilla, some eucalyptus and the ever present sharpness of the acidity, now with some offsetting tannins. The finish is decent in length and gives off strawberry notes with vanilla overtones. Overall a nice wine for the short to medium term. 89 points and for $18 it should be on your radar. 4 stars. Salut…. I have always enjoyed these wines. I don’t normally order crianza’s but gave this one a whirl. Nose of black fruits and plums after a good swirl. Somewhat one-dimensional on the first taste with loads of damson, acid and upfront tannins. Slight oak influence, but in a good way. This wine appears to be young, and may need some coaxing. After a trip through the vinturi it softens dramatically. It’s amazing how some wines transform when given some air and allowed to breath. More plums, some earth and cinnamon come out after aerating and the tannins are way more subdued. The structure is interesting and I think will give this wine a long cellaring potential. Drink from 2017-2022 unless you can send it through a Vinturi, then now is fine. 91 points from me and 5 stars for this $18 effort. Salut…. Whenever I see ’09 or 2010 Bordeaux on sale I take note. These two vintages were stellar and you can’t go wrong. Hence the urge for me to pick up a case of this stuff sight unseen, without any knowledge or forbearance. I simply saw a rating, a price and my wallet. Bright purples hues in the glass as to be expected. Nose of black currants and blue berries was somewhat less than expected, perhaps the youth of the bottle? An interesting attack of black and blue fruits with a core of acidity and brisk tannins which led to a cork and dusty component which add to the fruits in a funky way that I enjoyed. Black tea finish with that tannic bite made for an interesting closure. 89 points with a 2014-2020 window. I paid $18 per bottle making this a 3 star effort. Salut…. I just recalled where I got this bottle from- Total Wine for $18, it was on special as they were doing a Spanish wine tasting that day. I’ll be back for more… I had to look very hard to find any vintage details, but a tiny set of words ‘Cosecha 2012’ gave it away. I was startled by the color, it was purpley purple in the glass- more so than I have ever seen in wine. 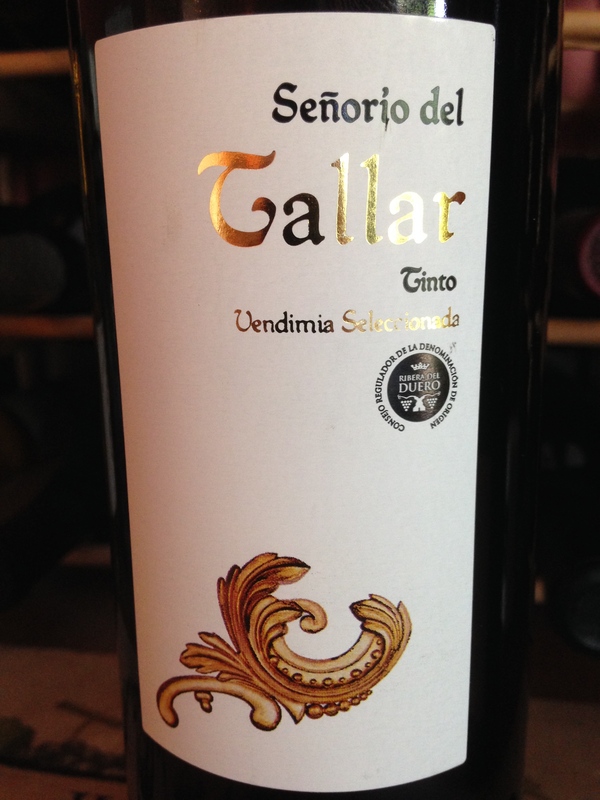 An unmistakable Tempranillo nose of tar, black fruits and earth came wafting over. The initial profile was of earthy tar and black berries. The wine is still young with nice tannins and a very gentle acidity, but then I noted “Wow, really young”. 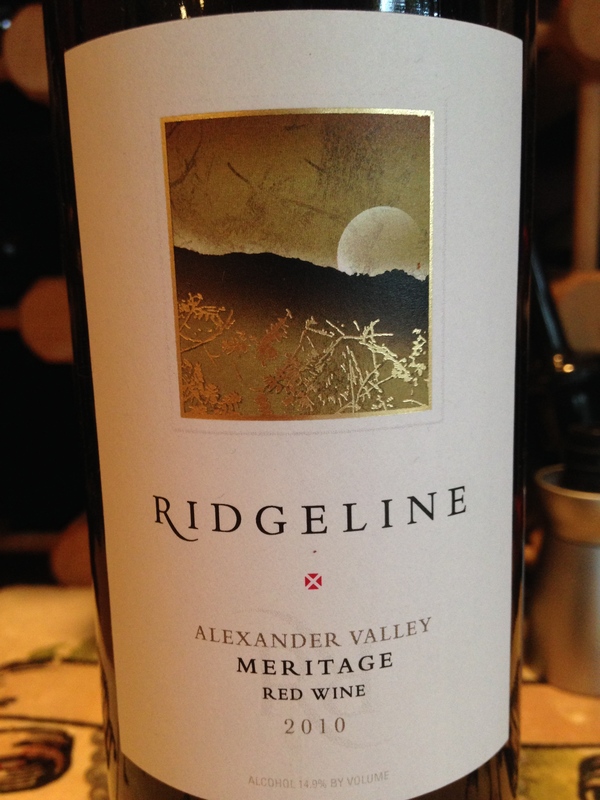 Brooding black cherries on the mid to back end with a deft use of oak made this textbook and juicy, delicious. This wine is full on, in your face Tempranillo that I can really sink my teeth into. It is ready now but will age well for another 5-8 years. I can’t think of a better pairing than with a big steak! Bang for the buck, this wine rocks. 91 points and 5 stars for this Spanish beauty. Salut…. I just returned home from my whirlwind Asian tour to find Moxie fixing up some BBQ chicken and veggies. I decided to try this well known California Chardonnay that I have been saving. Straw yellow in the glass it had a buttery nose of apple and lemon zest. More citrus and cloves on the initial with a marked acidity lurking in the background. Quince on the back end with a long finish which I found quite interesting. 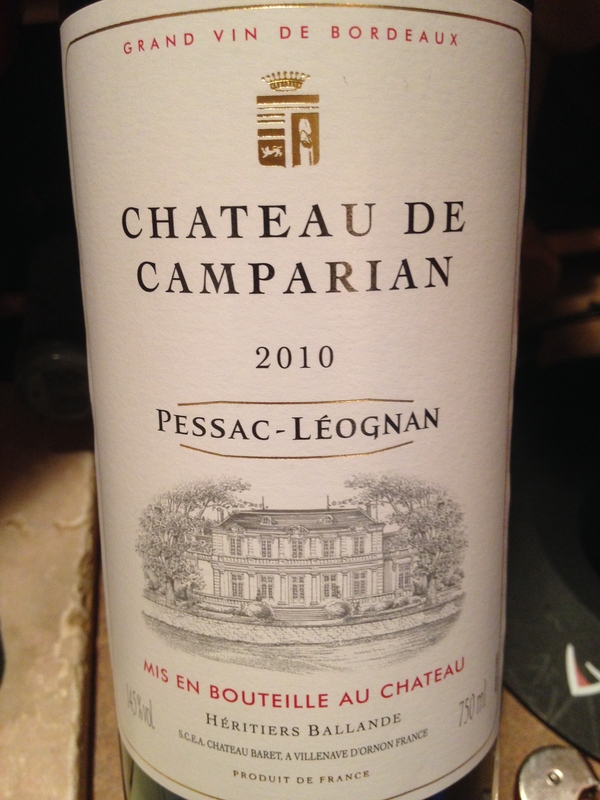 The wine appears to have undergone Malolactic fermentation with an oak influence, but it is not overdone. 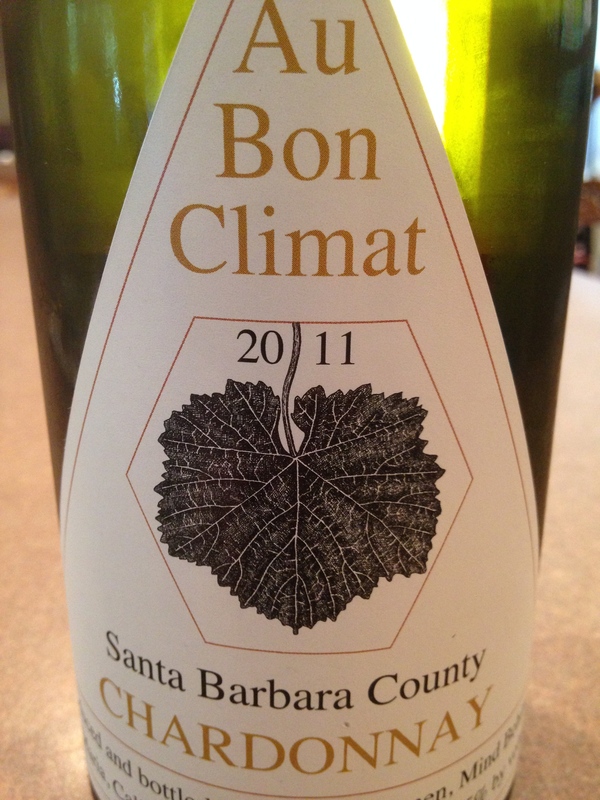 Balanced and bright without the flabbiness usually associated with this style of Cali chardonnay. I picked it up for $18 and give it 89 points. It went well with the Barbecue sauce by the way. I would pair it with seafood all day, it would kill a dozen oysters with ease. The wine sits at 13.5% alcohol, so be careful if you plan on sipping it poolside. A good effort from this well respected winery making it worthy of 4 Stars. Salut…. I bought this one on ratings and write-ups, having never heard of it before. It started out with plums and a woody note on the nose with an interesting initial attack that was slightly sour. I noticed a tremendous acidity, perhaps too much?? The flavors that I came across on the first pass were red currants and raspberry. The wine is silky with deep, smooth tannins. Later on I noticed blueberry on the back end with some coffee. This wine is very juicy, related to the acidity perhaps. It was a little sharp when first opened but seemed to mellow out after some air time. I’m not a huge fan of this wine but I think it is serviceable. I have seen up to 92 points from critics on this one, I am not sure I agree- giving it 88 instead. I paid $18 and therefore award it 3 stars. Salut…. I picked this Spanish Albarino from the Rias Baixas region and was rewarded with a delicious, chilled bottle that hit every note I asked of it. Straw colored it offered up a melange of fruits and spices on the nose that were delicious to smell. On the palate it was very true to varietal with great aromatics mingling with some peaches and dried apricots, kinda like Viognier but with far more acidity. This wine was crisp and lithe which paired very well with our cheese. This varietal is well planted in Spain and Portugal and is definitely one which I will be purchasing for the summer. I can imagine sipping this one on the patio in the evenings with some cold cuts and crudités. I bet it would rock a baked salmon and risotto dish. 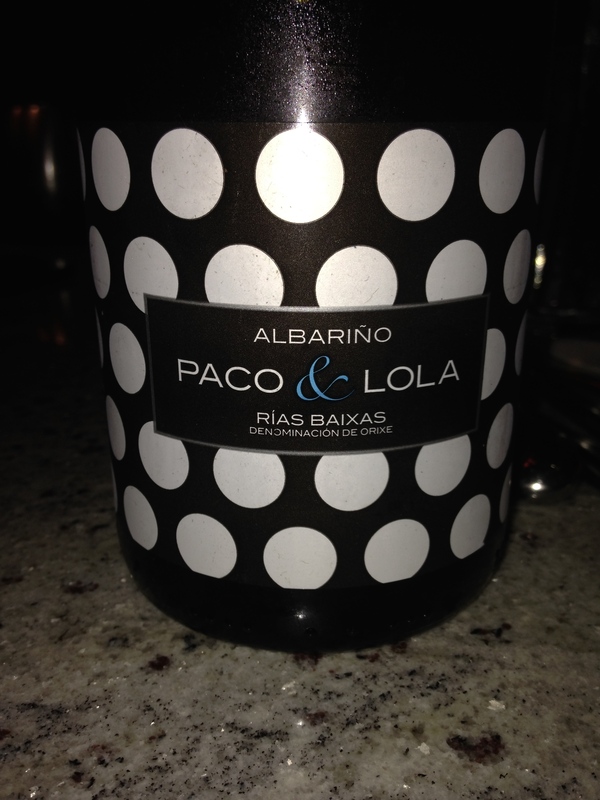 When was the last time you had an Albarino? Retailing at about $18 I am going with 90 points and 5 stars. I hope my local shop carries it! Salut….